Completely expandable according to growing needs, AutoPot systems are simple to use. As automatic watering systems, they can be left unattended for several weeks. The AQUAvalve has a great capability and a large reservoir can cultivate between one to 100 plants. AutoPot grow solutions don’t need power, pumps, or timers. Gravity pressure from either a tank or a waterbutt is all that’s needed. You can also easily move the pots under lights or space out your plants as needed. Plants need to have established roots before the AutoPot can be turned on but you can still place them in the system. You’ll just have to hand water the plants until the roots are established, which should take between 10 to 14 days. If you’re growing plants in soil, water is sufficient. If you’re growing plants in rockwool or coco, you can feed them a weak nutrient solution. As a general rule, when the water or solution is at a third of the level, you need to refill the reservoir and never let it run empty. A chilled nutrient solution, typically below 16℃, can cause a stall in your plants’ nutrient uptake. Extreme cases can cause plants to go into shock and completely stop growing. An easy way to prevent this from happening includes placing a polystyrene tile underneath each tray. This will prevent the cold from the surface to seep into your pots. 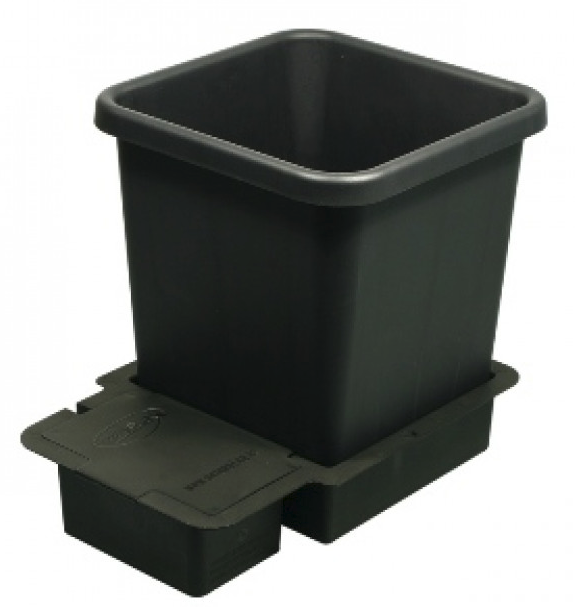 Extremely flexible, AutoPots are great for a variety of growing media. A 50/50 mix is a great option if you’re mixing it manually. This can be 50% of clay pebbles or perlite with 50% of soil, coco, or rockwool. Clay pebbles aren’t always pH stable so you need to make sure that the media you use is pH stable and neutral. Alternatively, Gold Label has a 60/40 mix of coco and clay pebbles already mixed for optimum growth. RHP certified and of the highest quality, this mix combines Gold Label 8-16mm clay pebble and coco substrate. Avoid nutrient solutions with organic nutrients, such as seaweed or molasses, as these can lower oxygen levels. Non-mineral nutrient mixes tend to cause blockages and actively ferment and foam when they are oxygenated. We suggest avoiding anything with a thick and viscous mix. This can be any mix that requires warm water to be mixed in before use. If you want to be absolutely sure that the mix is good to be used, you can place a teaspoon of the mix in a glass of water overnight. Should it separate, then it shouldn’t be used as it will do the same in your system. If you have a high-quality reservoir, all you need for the final flush is to add pH balanced water to the reservoir approximately one to two weeks before harvest. You don’t have to flush your pots directly. 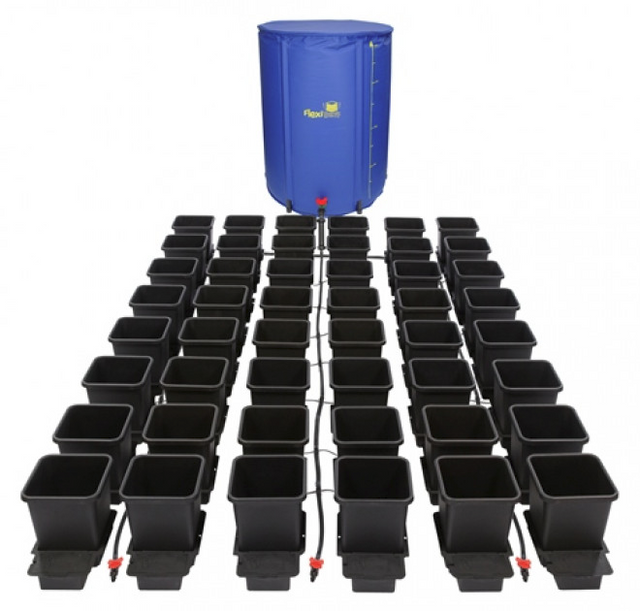 AutoPots use gravity instead of a water pump to deliver feed to plants in the pots. Make sure to always raise the tank to at least 150mm, approximately 6 inches, above the highest AQUAvalve. Get in touch with our team to know more about our products by giving us a call on 01695 554 080 or 01226 320 850. You can also become a stockist of some of the UK’s leading brands in hydroponics.